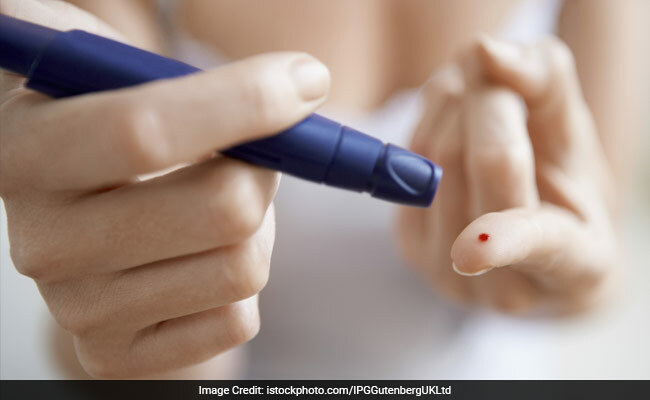 Hyperglycemia is a result of two anomalies -- a malfunction of the pancreas which creates insulin, or the resistance of the body to this hormone. Chinese prediabetic rate of 35.7 percent, close to the US rate of 37 percent recorded in 2014. Washington, United States: China is facing the largest diabetes epidemic in the world with around 11 percent of its population suffering from the metabolic illness, while nearly 36 percent are prediabetic, according to a US study published Tuesday. The survey, which included 170,287 participants and was conducted in 2013, was analyzed with the assistance of Linhong Wang from the Chinese Center for Disease Control and Prevention and was published in the Journal of the American Medical Association (JAMA). Researchers measured levels of fasting plasma glucose of each participant. Those with levels of 126 milligrams per deciliter or higher were defined as diabetic while those with levels between 105 and 126 mg/dl were defined as pre-diabetic. Among the diabetic population in China, 36.5 percent were aware of their diagnosis and 32.2 percent were receiving treatment. Among those being treated, 49.2 percent had adequate glycemic control. Tibetan and Muslim Chinese had significantly lower prevalence of diabetes compared to the majority Han population (14.7 percent for Han, 4.3 percent for Tibetan, and 10.6 percent for Muslim). The adult diabetic rate in China of 10.9 percent is close to that of the United States of 9.3 percent according to 2014 figures recorded by the Centers for Disease Control and Prevention. The Chinese prediabetic rate of 35.7 percent was also close to the US rate of 37 percent recorded in 2014. With approximately 1.09 billion adults in China, some 388.1 million were projected to be prediabetic (200.4 million men and 187.7 million women). Diabetes is a growing public health problem throughout the world. Some 422 million adults around the world had diabetes in 2014, compared to 108 million in 1980, according to a report published by the World Health Organization in 2016. Diabetes rates have increased more rapidly in low and middle-income countries. Diabetes is a major cause of blindness, kidney failure, heart attacks and lower limb amputations, according to the WHO. In 2012, an estimated 1.5 million deaths were directly caused by diabetes and another 2.2 million deaths were attributable to high blood glucose, according to the report.